There is a dream in every Australian family to one day have a holiday home that you can go to on weekends and enjoy. Unfortunately this has become unobtainable for many people as house prices in beach locations near major cities have become unaffordable. However there is an alternative that Australian may have not thought of. In many Caravan Parks there is a section dedicated to permanent Onsite Caravans sites where Caravan owners can leave their Caravan on site permanently. While this may not be as glamorous as your large holiday home, it may give your family the chance to have an affordable home away from home. A place that you can go on weekends, enjoy the great outdoors and make new long term friendships. If you have started looking at onsite caravan for sale, it’s good to keep in mind the key benefits of these affordable home. With an Onsite Caravan you are able to store all your holiday things in your Onsite Caravan, beach toys, arm chairs, card table, gas bottle and all the other things that are required for an enjoyable caravan holiday. If the Caravan Park is near the beach or river, you may also be keen to do some boating. Many Caravan Parks that have the chance for boating activities also allow you to store your boat permanently at the park. This will save you the headache of towing it back and forth from home. The internet has taken over our lives and especially the new generation. These kids are growing up constantly glued to their devices. It’s important for children to experience and learn from nature. A Caravan Park holiday experience gives you the chance to disconnect them from their devices and allow them to open their eyes to the outdoors. There is also a lot of social interaction that can done within the park. Children from many families are often playing in the quiet caravan park streets and new friendships can be made easily. Look for an onsite caravan for sale that is in a Caravan that has a good atmosphere, nice outdoor setting and safe quiet streets. During school holidays children can be demanding, kids always wanting to go on holidays. It doesn’t help that all the other children around Australia are also keen to go on holidays. 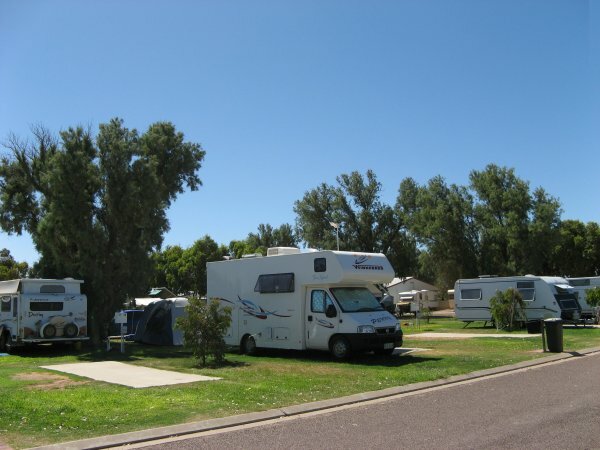 Caravan Parks can have very high demand during these peak periods and this causes high nightly rates. If you own an Onsite Caravan that is permanently based at a Caravan Park then you will have access to your van during these high demand periods without the hassle and cost of peak season rates. While the purchase price and yearly rental may be daunting, if the On-site Caravan is used frequently and during these high demand periods then it can be a good investment and save you a lot of money. Have a look around for an onsite caravan for sale that has a good price and that you will use often enough throughout the year to make it a good investment. You will need to check the Occupation Agreement but you will be able to invite your friends to come stay with you at your Onsite Caravan. There may be a small per person fee but it will allow you to enjoy the Caravan Park but it’s a nice experience to be able to share your affordable holiday house with your friends and family. If the purchase price and ongoing costs are daunting for your family then perhaps sharing an Onsite Caravan with another family is a consideration. You may have concerns over the amount of time you can expect to use the Onsite Caravan. An Onsite Caravan is only a worthwhile purchase if you use it often enough. Sharing it with another family not only halves the initial and ongoing cost, it also means you are not worried about the frequency you are visiting the Onsite Caravan. Looking at onsite caravan for sale with friends or family should be done with caution. Make sure there will be agreed ideas on the period both parties want to use the Onsite Caravan. Also make sure if one needs or wants to sell later on you agree on the process of selling together or a buyout.